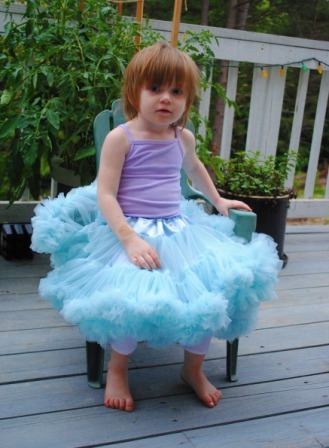 After countless hours and what feels like countless yards of nylon chiffon, Oona’s skirt is complete. 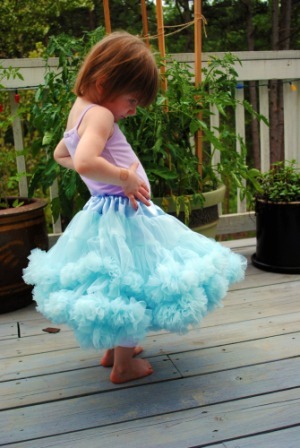 She likes to twirl in it and watch all the ruffles swirl about. I still have two more to make. Gasp! Cute overload! 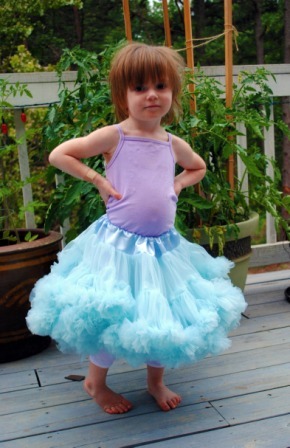 Now I feel like I need to make one for Tater. Wow, that is gorgeous. Ok, I’m coming to you for any sewing projects I need done. 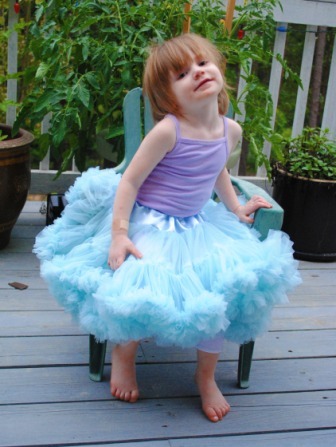 Adorable…now grandma wants to come kiss and hug her little cutie in the tutu!